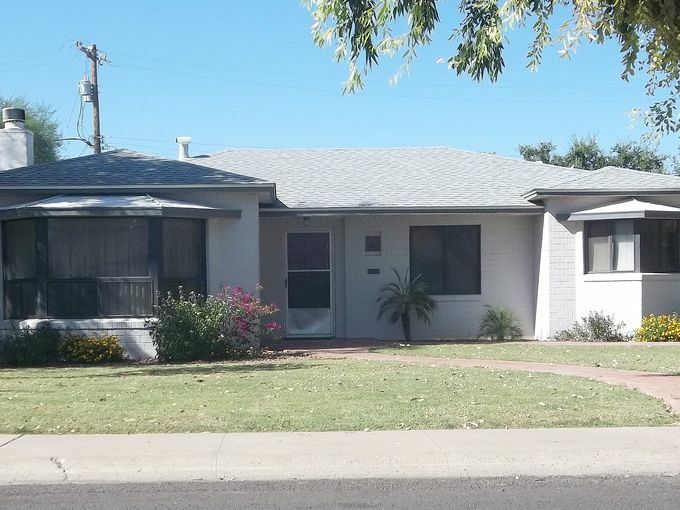 The people who bought and moved into the North Encanto Historic District represented a broad spectrum of the Phoenix population. There were lawyers, doctors, salesmen, teachers, a streetcar conductor, a forester for the Indian Services, Several policemen and farmers and a wrestling promoter at Madison Square Gardens. Several early residents worked for the new large industries in Phoenix such as Goodyear, Airesearch and Reynolds Metals. Among the notable early district residents who have had an affect on the city are W. H. Goettl (2934 N. 16th Dr.), early evaporative and air conditioning manufacturer; M. S. Buros, M. J. Buros and H. A. Buros, Boros Brothers Contracting; E. L. Varney (3028 N. 17th Ave.), prominent architect; Levi S. Udall (3112 N. 17th Ave.), Chief Justice of Arizona Supreme Court and parents of Stewart and Morris Udall; C. B. Smith (3301 N 17th Ave.) Smith Iron & Steel and G. D. Hoy (1530 W. Avalon) teacher at Phoenix College and after whom the P.C. stadium, Hoy Field is named. 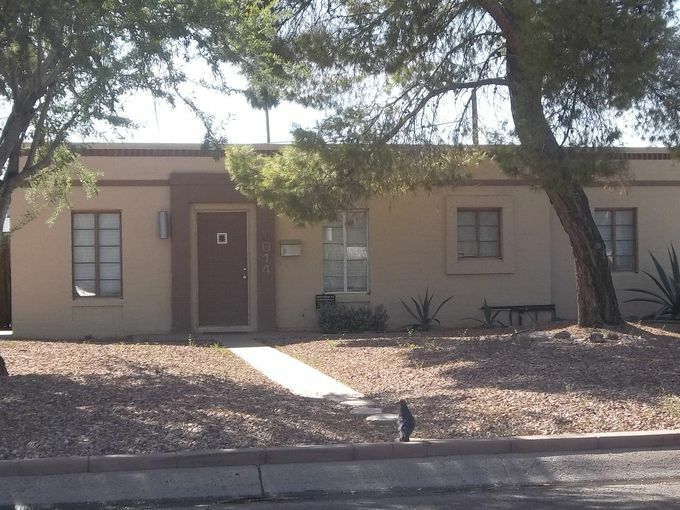 During the 1950’s Lincoln Ragsdale, mortician and leader in the Black community lived at 1610 W. Thomas and Bill Dickey, a prominent Black sports figure and golfer lived at 1614 W. Thomas. The above historical information was written by the late Tom Denny, our resident historian whom I had the privilege of attending one of his classes several years ago. He recently passed away and was a remarkable person. Development began in 1939 with the North Encanto Park subdivision containing 89 residential lots between 15th and 16th Avenues and from Thomas Road to Earll Drive. The first 51 houses were built by a syndicate who’s agent was Mr. Volney Bell. The plans were by Orville A. 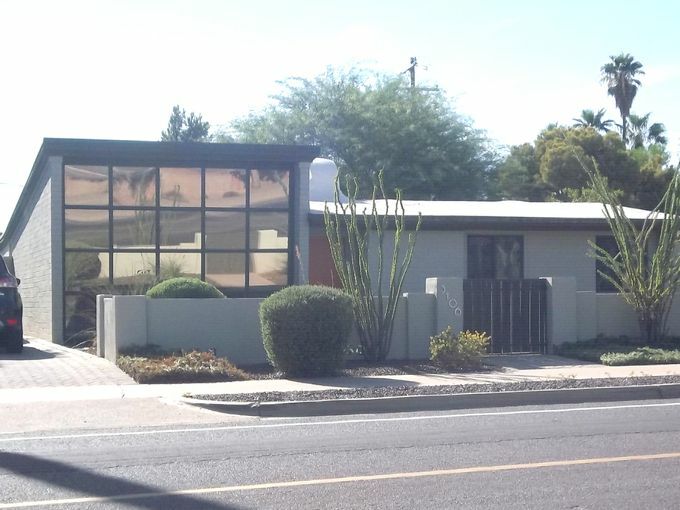 Bell, a prominent Phoenix architect and construction was by Broman & Chapman. Bell also designed the 1939 addition to the Arizona State Capitol Building, the Arizona National Guard Building in Woodland Park and several estate houses in the North Central corridor. The pre-war houses were mostly two bedroom, one bath homes. By February, ground had been broken on the first 29 houses, all of which had FHA financing. The remaining 22 applications were being processed. Houses averaged $4,000 and the subdivision was scheduled to be annexed by the city. By September 1940, 20 homes had been occupied, 27 were nearing completion, 12 had been started and all of the remaining lots in the 89 unit subdivision had been sold. By July 1941, construction had begun on the west side of 16th Avenue and in January 1942, Joseph Nuber announced the opening of an additional 25 lots of North Encanto Park subdivision facing what is now 16th Drive. (It should be noted that there can be confusion in historic references as 15th Drive was originally called 16th Drive, 16th Drive was called 17th Drive and 17th Drive was called 17th Place until the names were corrected in 1951). Construction on these lots on 16th Drive was delayed by the war until 1944. In February 1944, Andy Womack announced the start of home construction in this and other sections of the city. Encanto Terrace subdivision, between 17th and 18th Avenues south of Earll Drive, was developed starting in 1945-46 and Truman Terrace subdivision, North of Earll Drive, containing Flower Circle was under construction by 1946. In March of 1946, Alfred Andersen was building 22 houses on Flower Circle. 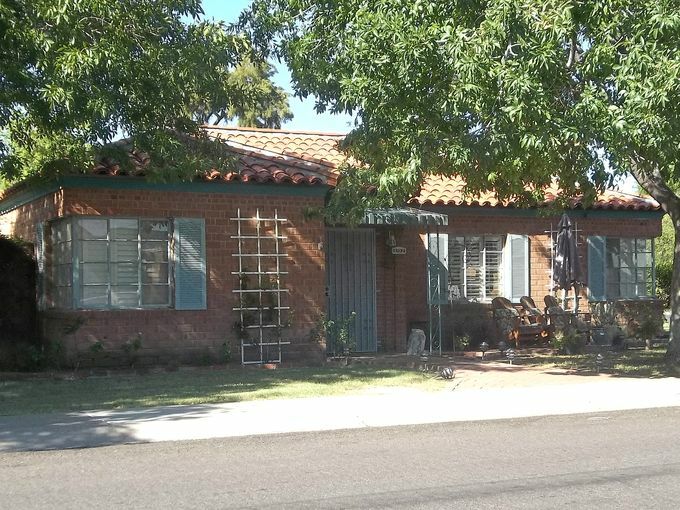 Even after 1944, when larger homes began to be built, they were still built in the Transitional/Early Ranch style. By about 1950, the style had evolved into what might be called the full Ranch or California Ranch style. Not everyone wanted a Ranch style home, however. 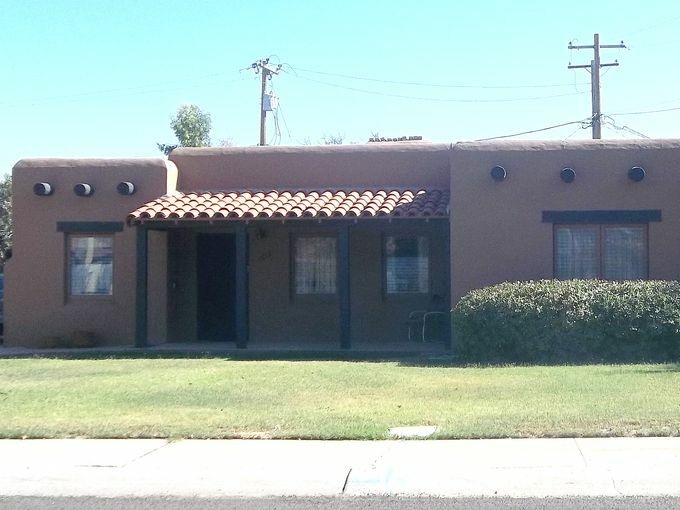 There are also several Pueblo Revival and three Art Moderne style houses in the district. The circular street plan of North Encanto appears to be the result of FHA design principles set forth in the “Recommendations for Successful Housing Development” published by the FHA 1938. The principles suggest a “general return to the village idea” and reflect the FHA’s contention that homes should be built on streets that are residential in character. The circular layout of the 1939 North Encanto Park subdivision was a significant departure from the grid layout typical of earlier developments in Phoenix.